It’s the morning of the second day of November and I’ve sat down at the kitchen table to finish writing this post. Every so often, as always, my gaze strays to the big view framed in the window. 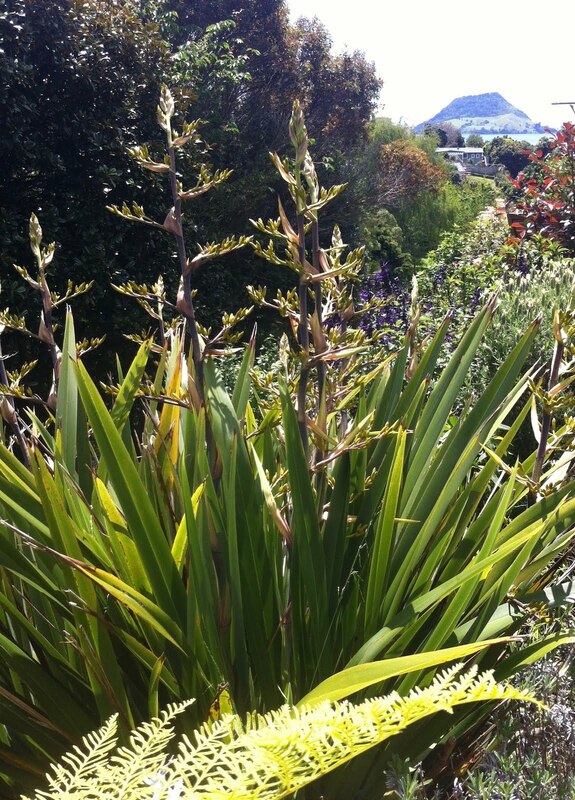 The shellfish season is passing and the garden is throwing out new spring shoots and blossoms. The pōhutukawa in the gully below is already coming into crimson bloom. Tui are feasting on the flax flowers and I can hear blackbirds and thrushes too and a rasping call as a pair of rainbow lorikeets pass by, Australian invaders that have turned up looking ridiculously overwrought, among our more restrained native birds, in their green and scarlet and blue feathers. 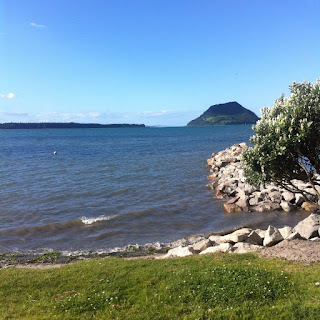 In the distance Mauao, an extinct volcano, rises up on the southern tip of the entrance to Tauranga Harbour, where I live on the Ōtūmoetai peninsula in the Bay of Plenty – a wide scoop of sandy beaches that stretches for 250 kilometres on the northeastern coast of New Zealand’s North Island. Over Mauao’s shoulder lies the purple-grey outline of Mayor Island, once a source of valuable obsidian, which the local tangata whenua (people of the land) obtained for use as cutting and scraping tools in centuries past. View of Mauao from Ōtūmoetai, 2 November 2016. Ōtūmoetai means ‘the tide standing still as if asleep’. View of Mt Maunganui (Mauao) from Ōtūmoetai. Undated sketch by S.L. Clarke, possibly 1880s. Tauranga Library. On the morning of 2 November, two hundred and forty seven years ago, HMS Endeavour, the Royal Navy research vessel commanded by Lieutenant James Cook on his first voyage of discovery to Australia and New Zealand, was passing Maketu just south of Tauranga. (Later, one of my ancestors, Elizabeth Kelly, would run the one-room school at Maketu and her brother Richard would leave the family farm in 1916 to fight in the First World War. He was killed in France.) As the Endeavour approached the sweeping bay known as Te Moana-a-Toi (the sea of Toi), the master's mate, Richard Pickersgill, drew Cook’s attention to the large pallisaded settlements on the hilltops and the hundreds of canoes drawn up on the beaches. It was the most densely populated stretch of coast that the Endeavour had yet encountered in New Zealand – and it occurred to Cook to name the great curving coastline the Bay of Plenty. Model of a Māori pā (fortified village) on a headland. Auckland War Memorial Museum. WikiMedia Commons. 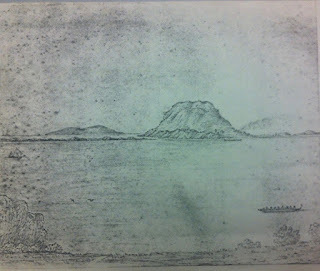 By the late afternoon of 2 November, the Endeavour had reached Mayor Island with Mauao in sight. Twenty-six-year-old Joseph Banks, botanist and patron of natural sciences, was among the 90 men and boys on board. Banks, who had supplied £10,000 of his own money to equip the expedition, was accompanied by Linnaeus’s protegé, the Swedish botanist Dr Daniel Solander, a former watchmaker turned naturalist named Herman Spöring and the botanical draughtsman Sydney Parkinson. Samuel Johnson might have been aboard as well, remarkably enough, had Banks succeeded in persuading him to join the Endeavour’s expedition, but Dr Johnson had declared himself no enthusiast for ‘savage life’ and held fast to his spot in the snug at Ye Olde Cheshire Cheese off Fleet Street. Sydney Parkinson. 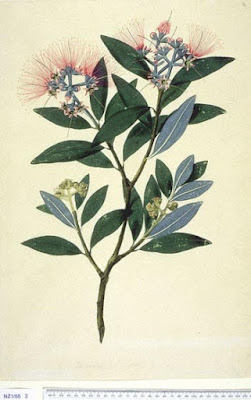 Engraving of pōhutukawa blossom (Metrosideros Excelsa) 1788, after a 1769 drawing. Benjamin West. Joseph Banks, 1773. Usher Art Gallery, Lincoln. 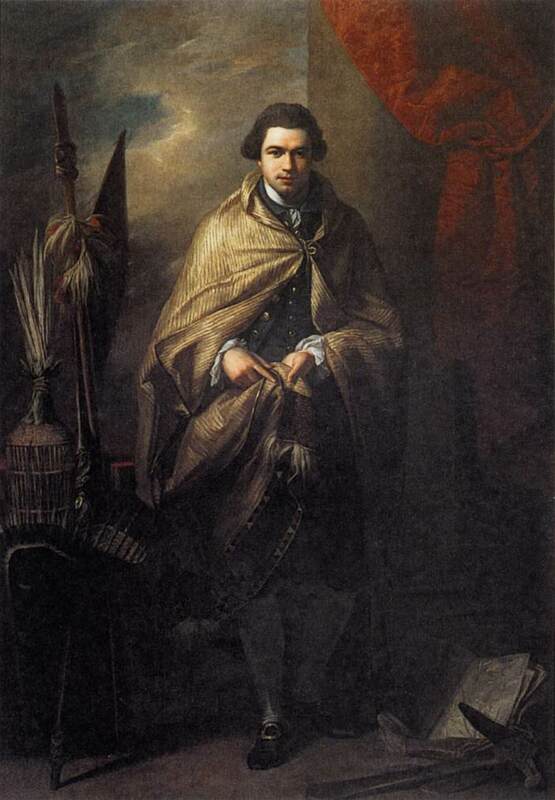 Sir Joseph Banks in a Māori cloak with Pacific trophies. Thomas Pringle. 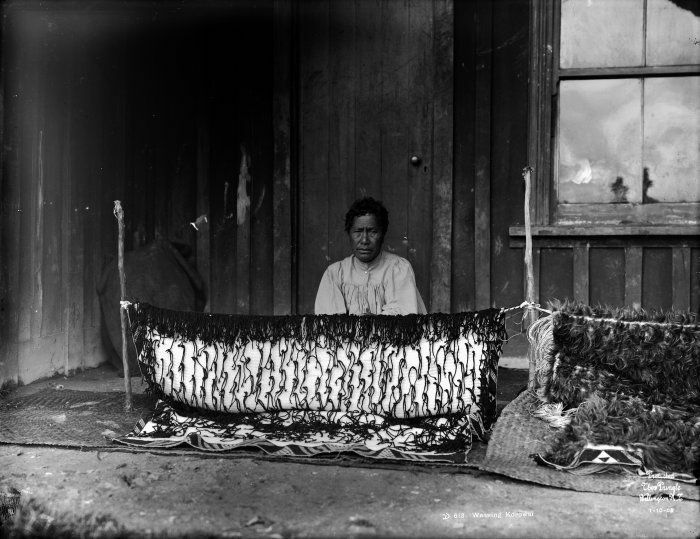 A woman weaving a flax cloak, photographed probably in the Rotorua district, 1905. 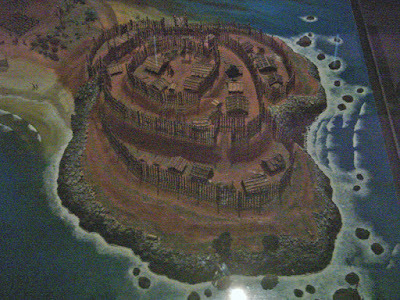 Cook was always on the lookout for a useful anchorage as a base for finding supplies of fresh food and water, but he was denied the opportunity to discover the excellent harbour at Tauranga and the large pā that overlooked its calm inner waters. While the Endeavour was sheltering at Mayor Island on the evening of 2 November, two large canoes packed with warriors sailed out to challenge the alien entity in their waters. The Endeavour’s men had experienced a number of similar encounters as they had made their way along the east coast of the North Island, mapmaking and gathering botanical specimens. 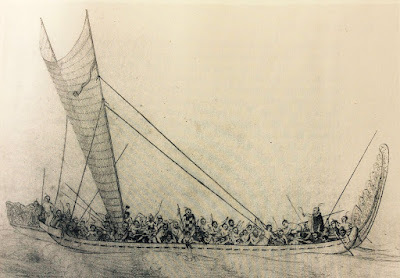 Only that morning at Maketu, warriors had harassed the ship. The local people were in no mood to be welcoming. 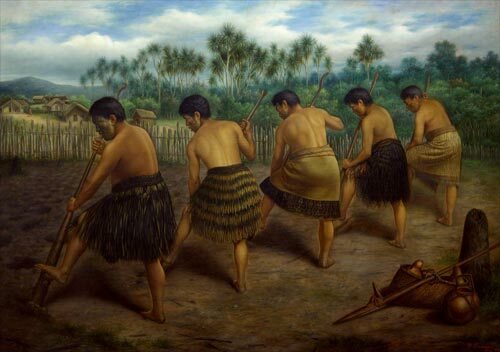 During the mid-18th century, most of the Bay of Plenty was engaged in tribal skirmishes between war parties or plunderers demanding satisfaction for various offences. The approach of warm weather in November traditionally marked the start of the fighting season and strangers, let alone an apparition of pale ‘goblins’, were regarded with suspicion. 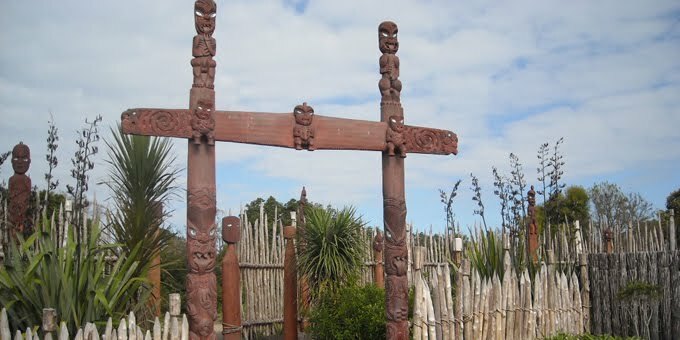 In a repeat of the repulse at Maketu, the Tauranga warriors performed a haka in their canoes, hurled stones and spears and chased the Endeavour away. A sketch by Herman Spöring of the Endeavour chased off the Bay of Plenty coast, 2 November 1769. The Māori crew performed a haka and pelted the ship with stones. It’s no great effort, I think, for enthusiasts of the 18th century to come into contact with its manifestations in other parts of the world, but here in New Zealand material evidence of that age is much more fugitive. You have to find it in covert human-made contours of the land or in terribly fragile remnants of organic materials or in the threads of memorised genealogies passed down through the generations. I am always looking for traces of that pre-European history though. I want to know what it was like to live here then. A few months ago, a roadworks crew arrived one morning near my house and embarked on excavations to widen the street. Not long afterwards, the work came to a halt, and un-roadworks types turned up with cameras and clipboards. Archaeologists! 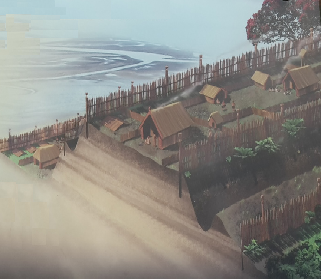 The digging had exposed the remains of at least twenty five pre-European food storage structures - a find that confirmed existing evidence that a large Māori population had been living at Ōtūmoetai during the late 18th century. There were three pā on the peninsula at that time, the largest being its namesake. 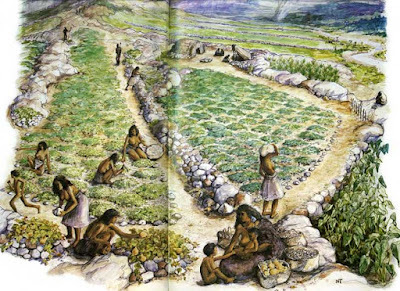 From the size and number of the storage pits, archaeologists estimated that the gardens belonging to this settlement could have fed as many as two thousand people. I was already greatly interested in Ōtūmoetai pā. Its footprint is preserved in a local historic reserve, which I sometimes pass through when I walk down to the waterfront. Ōtūmoetai pā. Image by Philip Perry. The body of the pā was situated on an escarpment with panoramic views of the harbour and of Mauao, before dropping some twenty metres in a series of steep, terraced embankments to a sandy foreshore that offered a safe refuge for canoes. Its location could hardly be more beneficial. A frost-free climate eased the cultivation of crops and there was an abundance of fish and seafood. When I first began digging terraces on our steep garden, I kept unearthing scatterings of seashells and learned that there are many middens in this area, produced when those long-ago inhabitants scooped out the contents of shellfish to dry in the sun. I often thought of those gardeners past, working loamy soil that offered every advantage to the staple root crop of kūmara as well as yams, taro and gourds. Gottfried Lindauer. Digging with the Kō, 1907. Auckland Art Gallery. The kō was a long-handled digging tool. Ever since the kūmara storage pits were unearthed near my house, I have been ferreting around in the New Zealand Room at the Tauranga Library trying to discover more about everyday life in the Ōtūmoetai pā – and I have found a surprising amount. Too much to add here, but I will use my December post to describe as well as I can what I have learned of my neighbourhood in the late 18th century. I know it's an oft-used word here in the HG comments box, but this really was fascinating! Thanks, Debra!